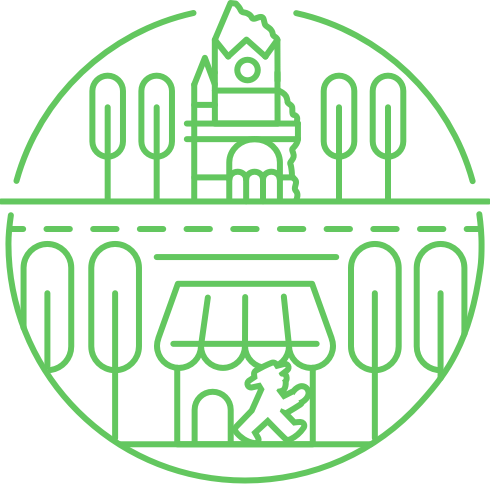 It was precisely here that the first traffic lights with the original Ampelmännchen stood. 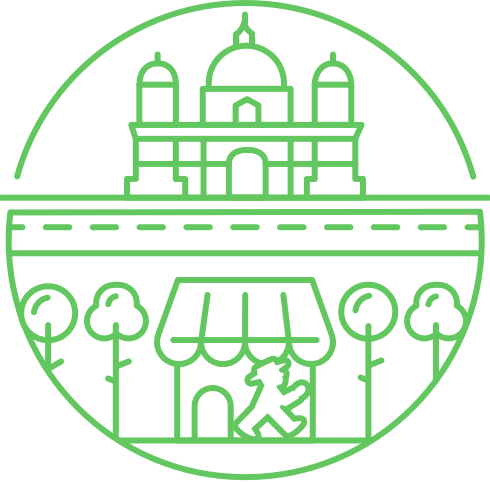 Their developer Karl Peglau saw them lit up in red and green for the first time on the street Unter den Linden. 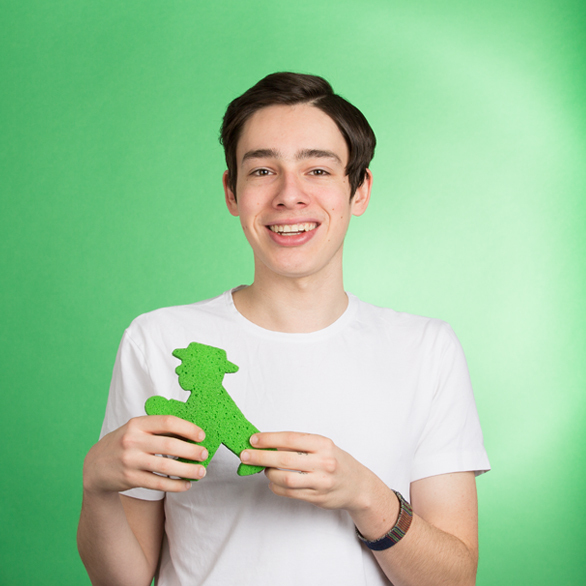 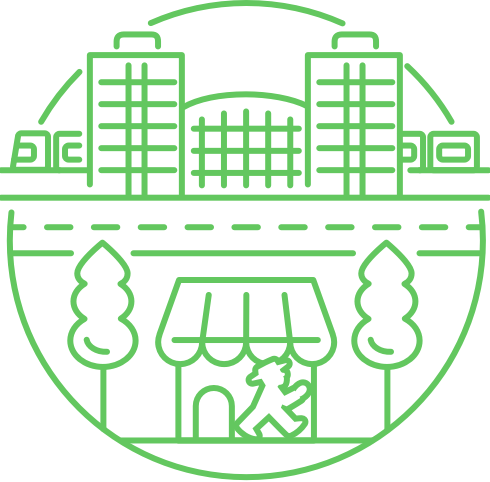 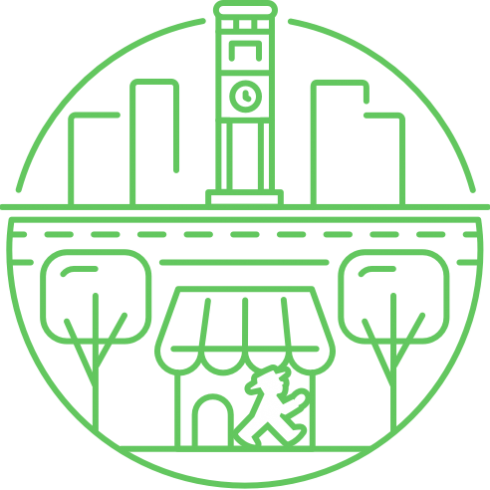 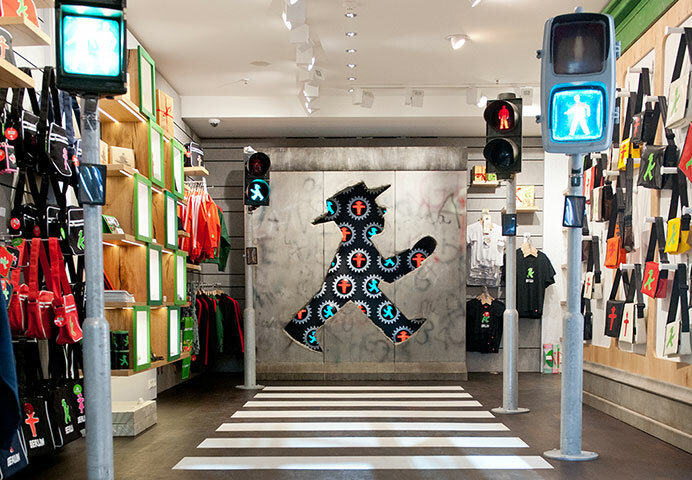 Here in our shop the Ampelmännchen strides through the Wall: this is where David Hasselhoff sang the night the border fell! 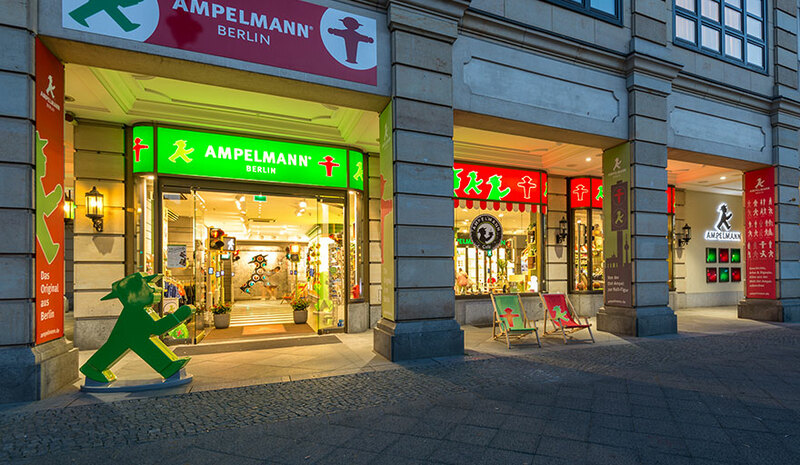 Not far from the Brandenburg Gate, history was written in full view of the Ampelmännchen. 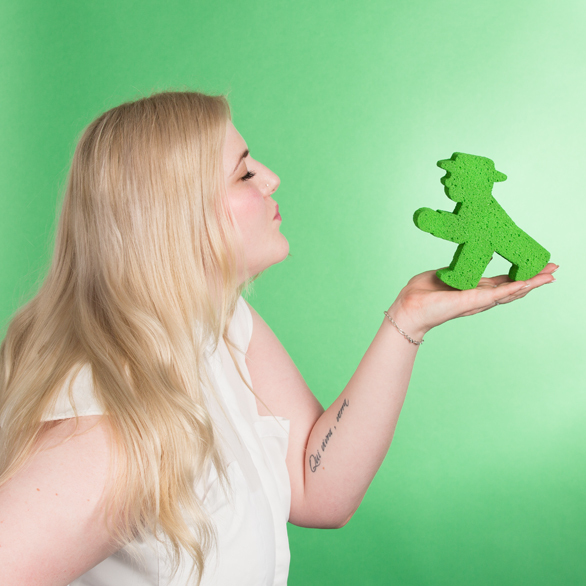 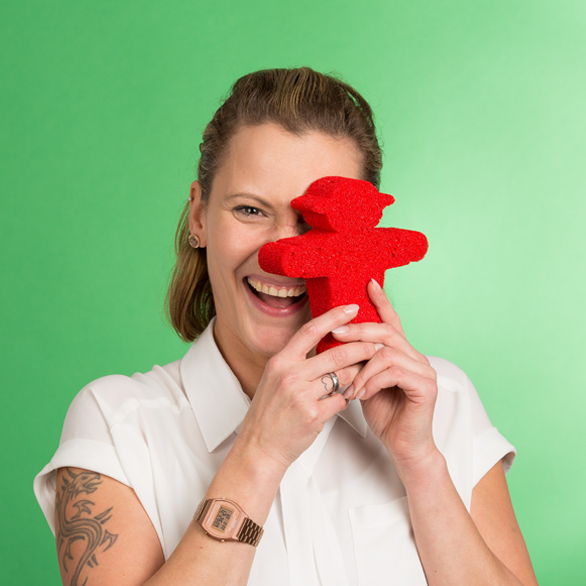 Our permanent exhibition includes over 30 sets of traffic lights from all over the world to be admired, and you will find exciting facts about the history of the East German Ampelmännchen on-screen. 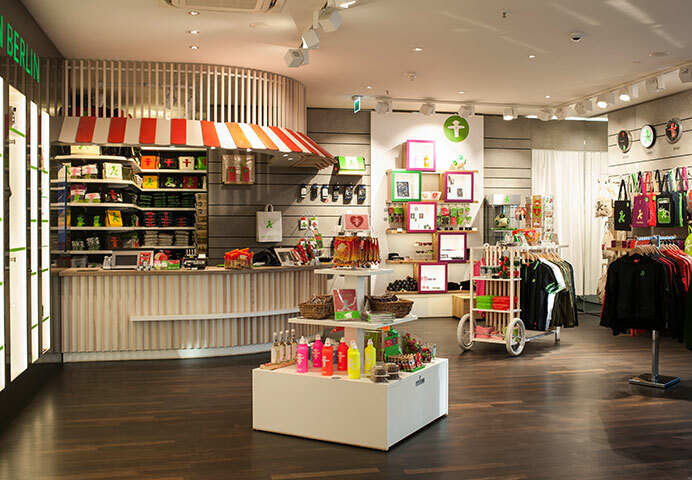 Our Flagship Store opened its doors in 2012 and is the largest of the eight AMPELMANN shops in the capital city. 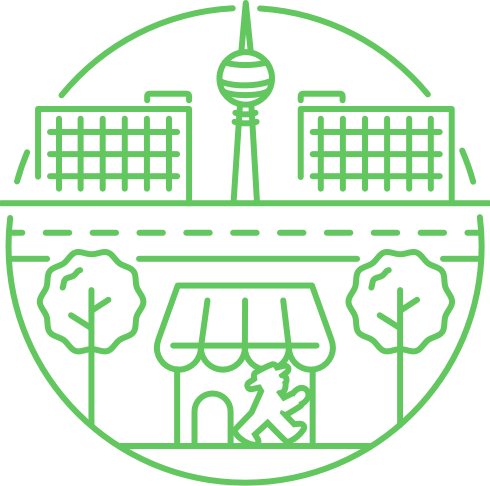 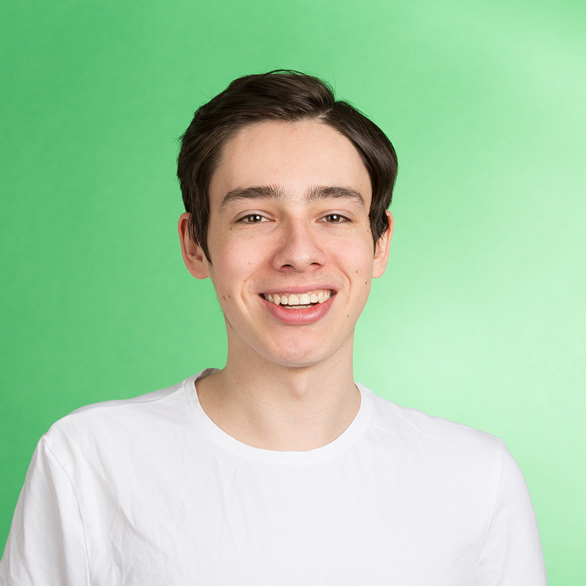 Right on the corner of Unter den Linden and Friedrichstraße, we present our full product range. 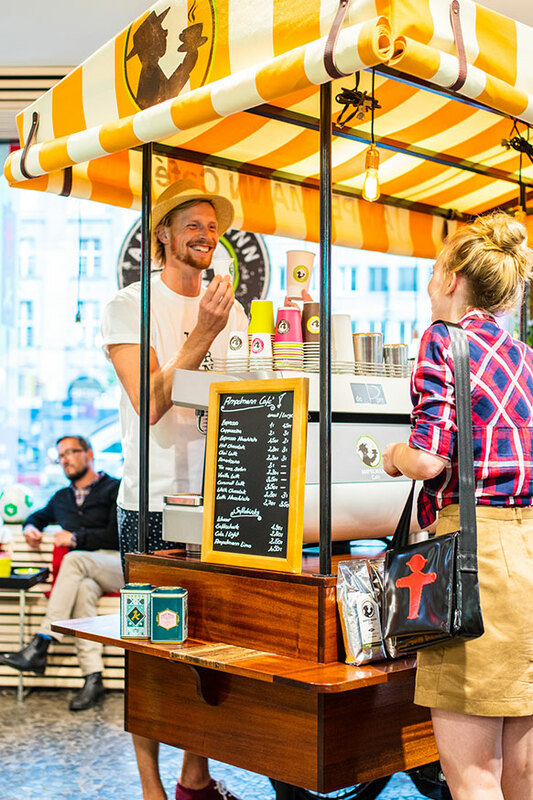 In the shop there is coffee, charmingly served and at fair prices – fast and simple between meals. 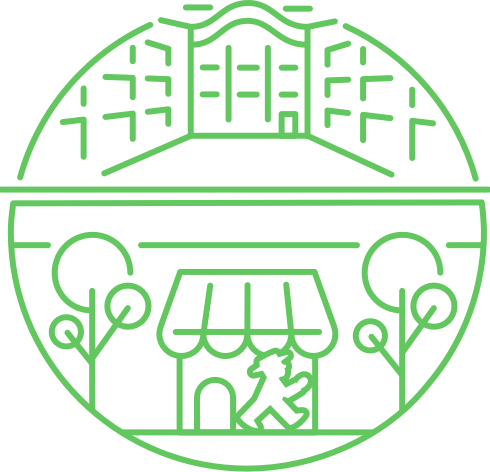 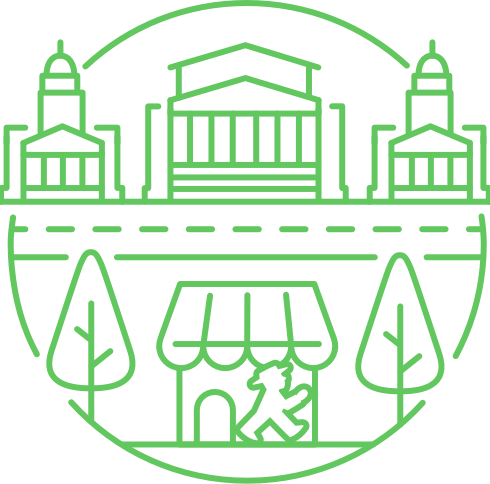 Sit down for a moment and relax on your walk through Berlin, surrounded by the world of the Ampelmännchen.